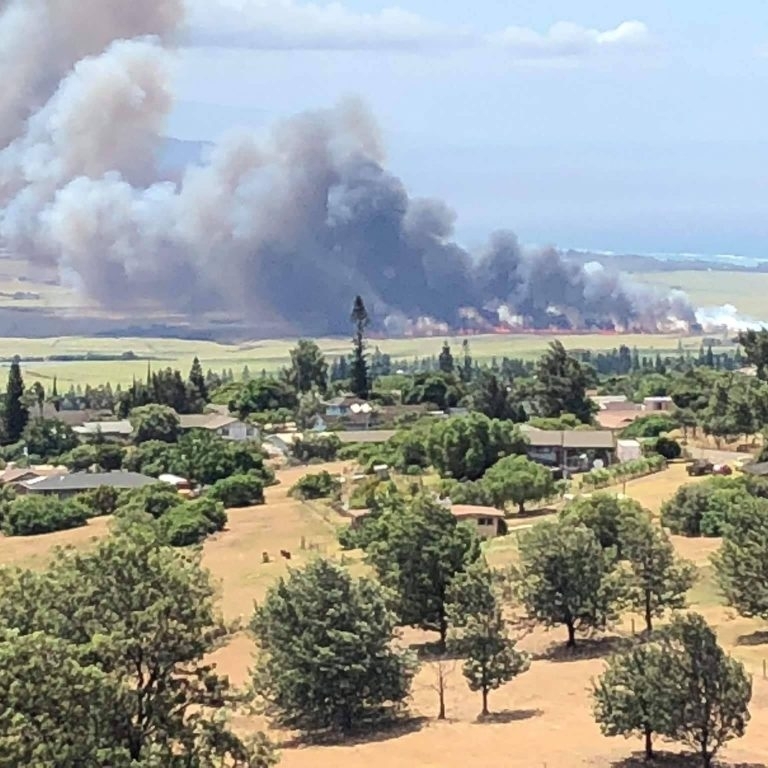 Maui fire officials say that a brush fire on Sunday has scorched 10 acres of land in the area of Pulehu Road near Kula Agriculture Park. MFD crews responded to the fire at around 2:15 p.m. and arrived to find an active fire in dry brush in the area. Firefighters are having difficulty putting out the fires due to shifting winds, according to officials. Our hearts go out to those that suffered home damage or loss on Wednesday afternoon. Aside from the economic loss, we can only imagine the feeling of losing your possessions, your home, and the time that will be spent with the recovery process. Make sure to check out the ReadySetGo! Action Guide to learn the easy steps you can take to significantly reduce your risk of home loss in a wildfire. 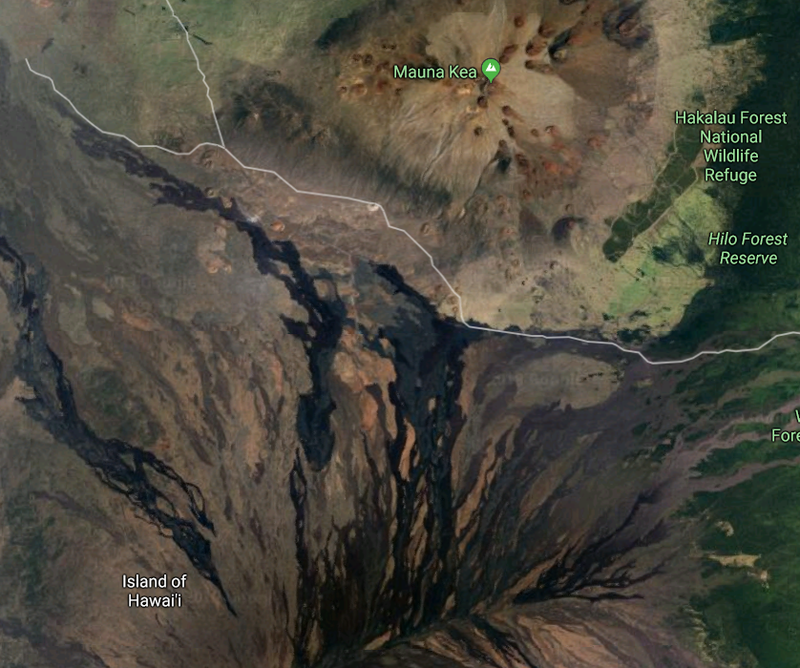 Satellite image of a section of Pulehu Road on Maui. Roadside ignitions are a common way fires are started in Hawaii. Be careful on the roads and make sure to park only in paved or mowed areas. We are glad to hear that there were no injuries from this incident. Maui firefighters have nearly contained a four-acre brush fire sparked by a vehicle accident in Pulehu this afternoon. A two-car collision on Pulehu Road appears to have started the fire, the Maui Fire Department said in a news release. Manawainui Gulch on Molokai where the recent fire occurred. A brush fire reported near Molokaʻi’s Manawainui Bridge on Tuesday appears to have been sparked by a high voltage power line. 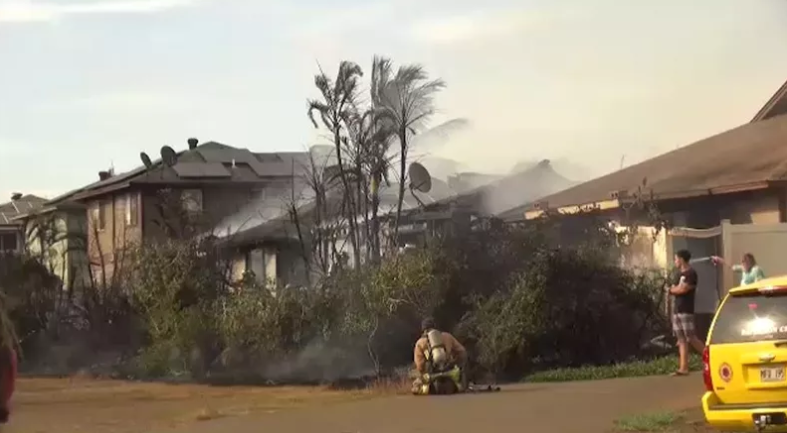 Maui fire officials say the line had been severed and fell to the ground. Mahalo to the good Samaritan who put out the first fire -- keeping a fire extinguisher in your vehicle is highly recommended. The Hawaii Police Department said it is investigating the fires and thinks fireworks started the blazes. Anyone with information or who might have witnessed the fires being started is urged to call Detective Carrie Akina at 326-4646, ext. 277. Fireworks appear to have sparked three brush fires reported within an hour Friday that forced a road closure on Highway 190 near Puuanahulu. 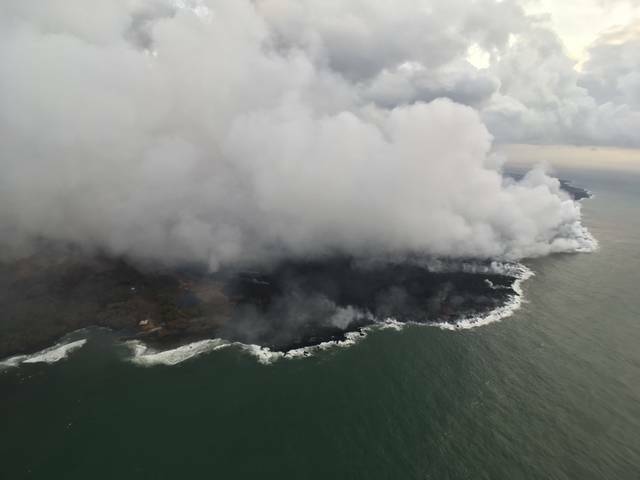 The blazes were ignited at mile markers 18, 21 and 26, starting shortly after 11 a.m., according to Hawaii Fire Department officials. The first was put out by Stafford Lombard, who was driving by on his way to Hilo. Fire officials say Lombard got out of his car and used a fire extinguisher. The driver of a cement mixer truck stopped to assist and smothered the remaining flames with a hose. Firefighters came and mopped up. "Honolulu fire responded to a brush fire in Waimea Valley on Tuesday. 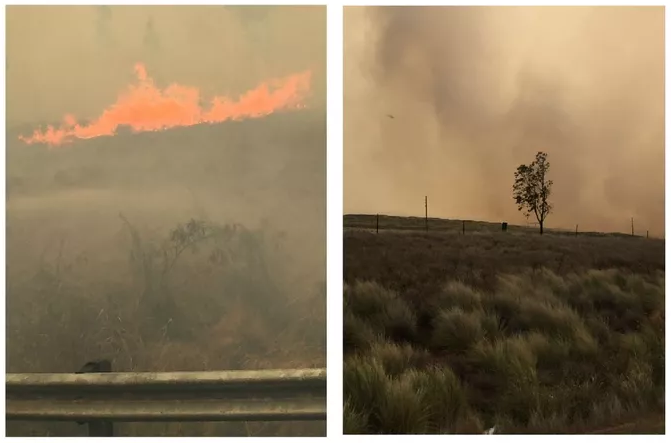 (Image: Sunny Platt)"
As many as three acres have been burned in a brush fire in Waimea Valley on Tuesday evening, according to Honolulu fire officials. Fire crews coordinated several air drops in an attempt to extinguish as many "hot spots" as they could in the area. Between 2.5 and three acres were burned in the blaze, according to HFD.